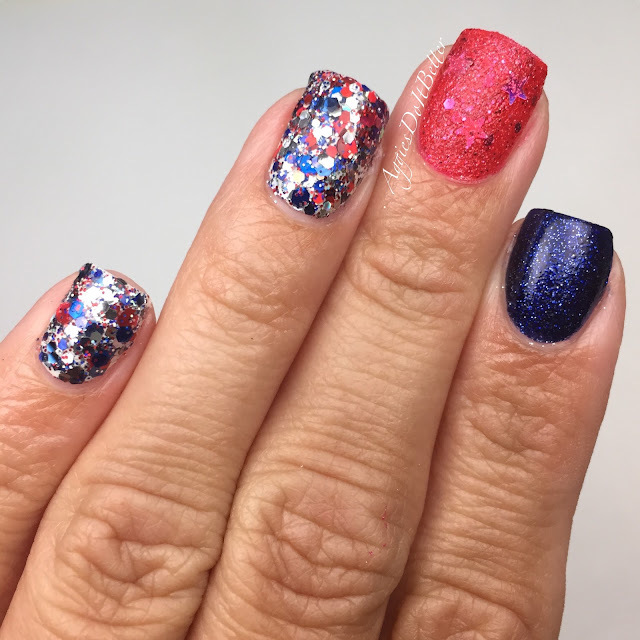 Aggies Do It Better: July 4th mani 2015! Hey guys! Happy Fourth of July! 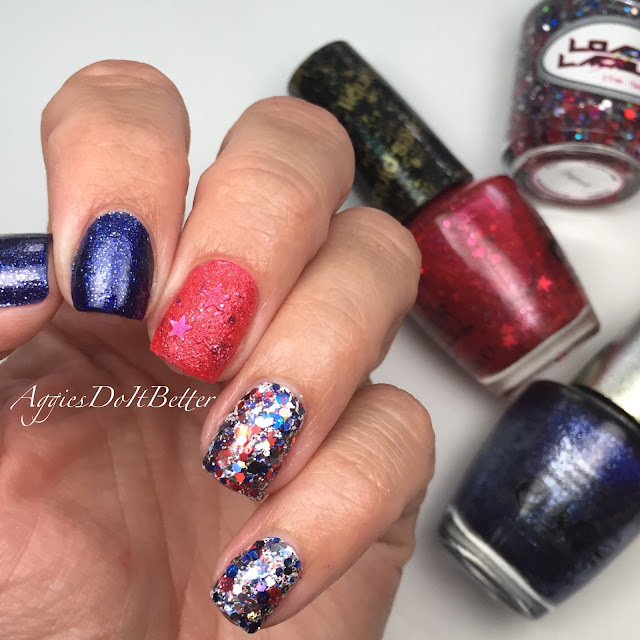 I just wanted to type up a quick blog about this mani and these polishes! 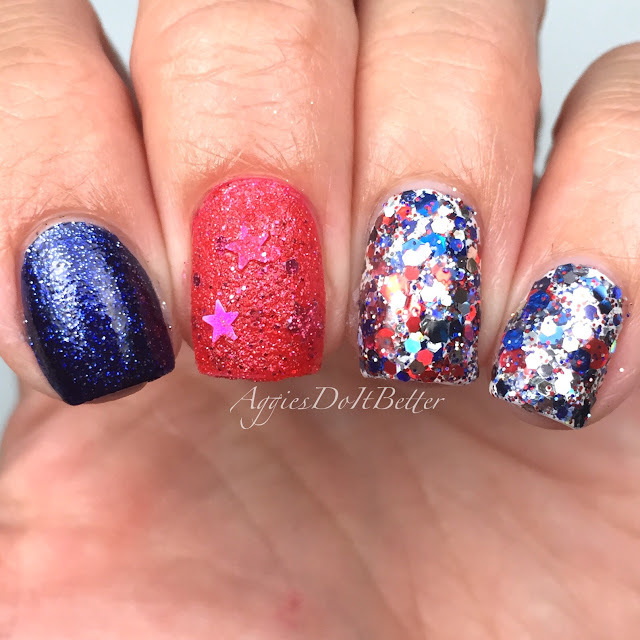 :) I only had time to do one patriotic mani this year...oh well! All 3 polishes I used were untried-yay! 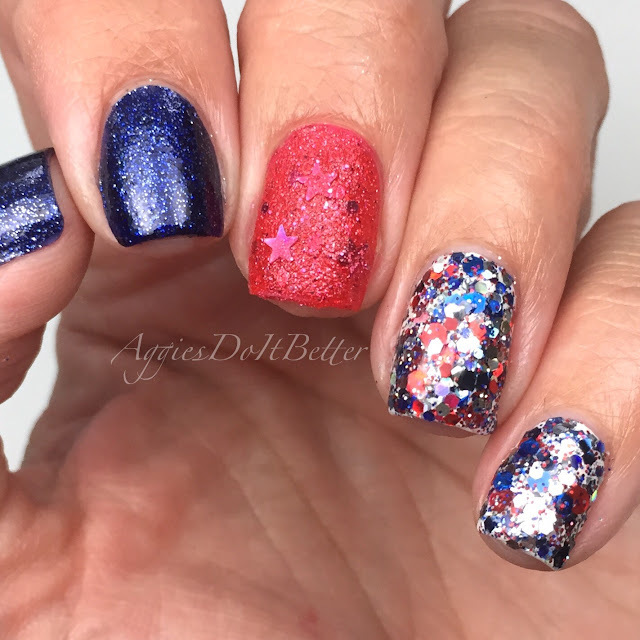 The blue is OPI DS Lapis.....which I wanted foreverrrrrrrrrrrrrrrrrrrr and finally got on clearance last year and am just now using it! I will NOT wait so long to use it again! It is awesome!!! Super opaque, you barely need a 2nd coat. It also dries matte! What!! It really sparkles with topcoat. The red is one of my few remaining untried Liquid Sands. It's "The Impossible" and its one of the original ones they put out. It's kind of an orangy red, kind of thin, I used 2 coats but it could use 3. There's also little star glitters in there that you really have to fish for. Meh, I probably won't be using it a lot. 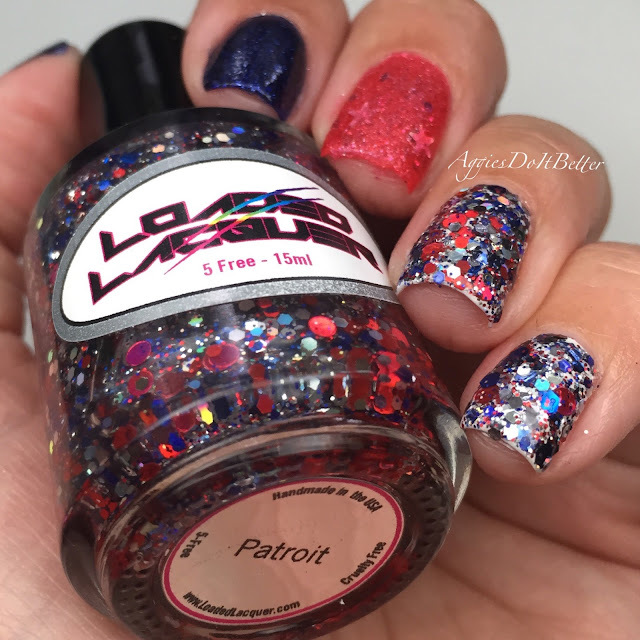 The star of the show is Loaded Lacquer "Patriot", which Lexi just finally released to the public, so to speak! She made a one off for my friend Beckie, and I have been wanting it ever since I knew it existed! You better believe I snatched one up fast! 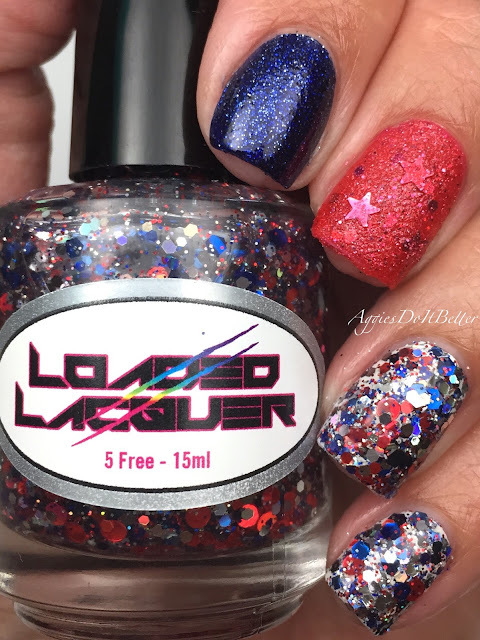 Loaded Lacquer glitters are super dense, but I went ahead and used a sponge anyway to get this look. I painted a white base (OPI Alpine Snow) and sponged on 2 coats of glitter and brushed on a third. I just love the way it came out! Palm tree Sunset gradient nails with Zoya Rocky! Picture Polish Nail Art Quarterly-my mani!